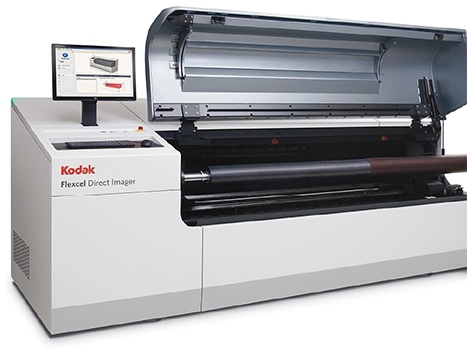 The Kodak Flexcel Direct System offers a brand new approach to direct engraving of elastomers for flexographic printing that boosts efficiency and print quality. Proven multi-channel laser diode imaging technology is more accurate and faster than direct laser systems. The Flexcel direct system offers compelling environmental advantages. It uses 30% less energy than other DLE systems, eliminates all solvents and chemicals, and reduces ink and substrate waste while delivering consistent image quality. By building up the elastomer to the required height can eradicate the use of adapters on press making them a much cheaper alternative to thin wall sleeves.